VIRGINIA 58, #19 N.C. STATE 55 - The little things that Virginia coach Tony Bennett preaches about doing are starting to add up to regular victories, and the fact that his freshman-heavy team is starting to find its comfort zone is helping a great deal, too. 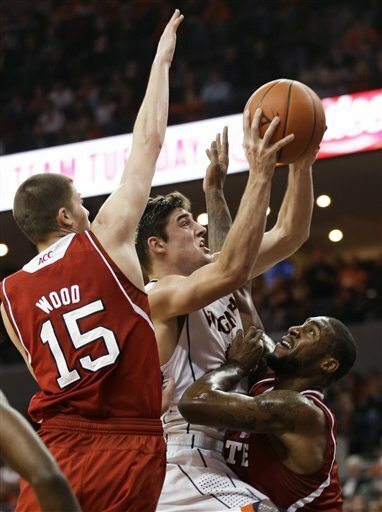 Joe Harris scored 22 points, seven during a game-ending 13-6 run, and Virginia's nationally ranked defense slowed No. 19 North Carolina State's ACC-best offense just enough for a victory Tuesday night, the Cavaliers' fourth straight victory. 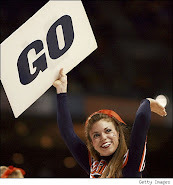 One game after freshman Justin Anderson led the way for Virginia, fellow freshman Mike Tobey had a huge hand in the victory with 13 points and, more importantly against the long, athletic Wolfpack, seven rebounds and two blocked shots. Akil Mitchell added 14 points and 12 rebounds for Virginia (15-5, 5-2 Atlantic Coast Conference), including an 18-foot jumper that put them ahead to stay with 3:53 remaining, before the nation's No. 2 scoring defense (51.1) closed it out. CLEMSON 63, GEORGIA TECH 60 - K.J. 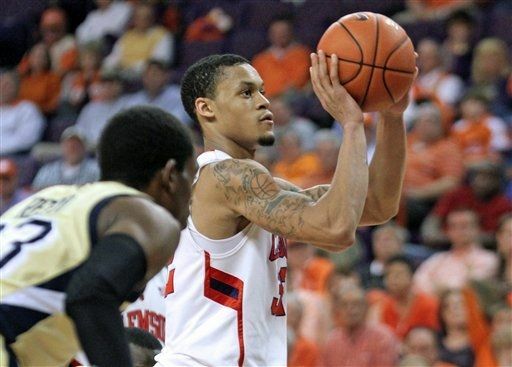 McDaniels scored 15 points, including two foul shots with 16 seconds left, as Clemson held on to defeat Georgia Tech on Tuesday night, its sixth straight victory over the Yellow Jackets. The Tigers (12-8, 4-4 ACC) held an 11-point lead early in the second half, but the Yellow Jackets (11-8, 1-6) gradually chipped away. When Mfon Udofia made a free throw with 17.2 seconds left, Clemson's lead had shrunk to 61-60. That's when McDaniels grabbed the inbounds pass, got fouled by Udofia and confidently made both ends of the 1-and-1 attempts. The Yellow Jackets had a chance to tie, but Brandon Reed's 3-point attempt from left of the basket was off the mark and Clemson won for the fourth time in its last six games this season. Daniel Miller had a career-high 16 points and Kammeon Holsey 14 to lead Georgia Tech. NORTH CAROLINA 82, BOSTON COLLEGE - P.J. 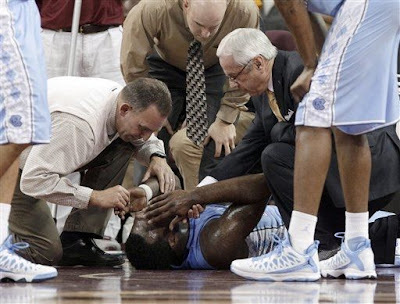 Hairston ignited a first-half run and scored 14 points before he was taken off the court on a stretcher after a scary fall late in the opening half of North Carolina's win over Boston College on Tuesday night. Hairston banged the back of his head on the floor after colliding with teammate Dexter Strickland. A North Carolina spokesman said he suffered a concussion, but was not going to be taken to the hospital. James Michael McAdoo led North Carolina (14-6, 4-3 Atlantic Coast Conference) with 17 points and 10 boards. Strickland added 14 points. Olivier Hanlan scored 22 points, Ryan Anderson 16 and Patrick Heckmann 12 for the Eagles (9-11, 1-6). Boston College lost its fifth straight game. North Carolina, which entered its sixth straight week out of The AP Top 25 after spending 33 consecutive weeks ranked, opened a double-digit lead midway into the first half and coasted to the win despite losing Hairston.